Hudson's Bay Big Sale continues today! 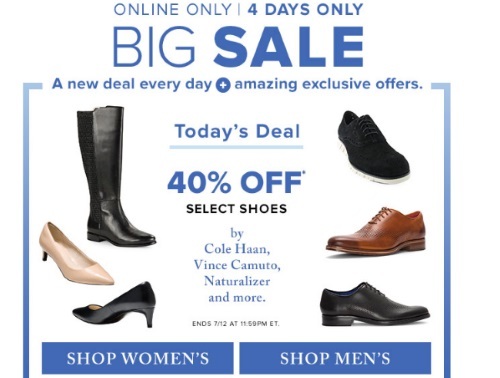 Get 40% off select shoes for men and women from brands such as Cole Haan, Vince Camuto, Naturalizer and more! Offer is valid util 11:59pm tonight Wednesday, July 12, 2017.